Del Webb began construction on Del Webb Bexley in 2018. There are six professionally decorated models to tour. This community will feature a large clubhouse with many amenities and activities for residents to enjoy. An on-site lifestyle director will help to plan additional clubs, seminars, classes, and fun things for everyone to do. A homeowners' association fee takes care of common areas and home maintenance, making sure you’ll never have to mow your lawn again. Del Webb Bexley in the Tampa Bay Area is sure to include something for everyone in Land O’Lakes, Florida. The amenities at Del Webb Bexley will begin at the 17,000 square-foot clubhouse. There will be a state-of-the-art fitness center and aerobics studio for those looking to stay in shape. It will feature a grand ballroom for throwing large events and a game room for playing cards with friends or shooting some billiards. The food and beverage center will be the perfect place to grab a quick snack. There will be an arts and crafts studio and many multi-purpose rooms for meeting with neighbors, or holding classes, seminars, and special activities. Outdoors, there will be a resort-style swimming pool, a resistance pool, and surrounding patio. Tennis, pickleball, and bocce ball courts will provide many sporting opportunities for exciting competitions. An outdoor amphitheater with an event lawn will be the perfect place to see a live band play and dance in the grass on the weekends. Residents will walk or bike along the winding trails throughout the neighborhood as they visit the community gardens or dog park, taking in the beautiful parks, natural spaces, and scenic lakes on the way. 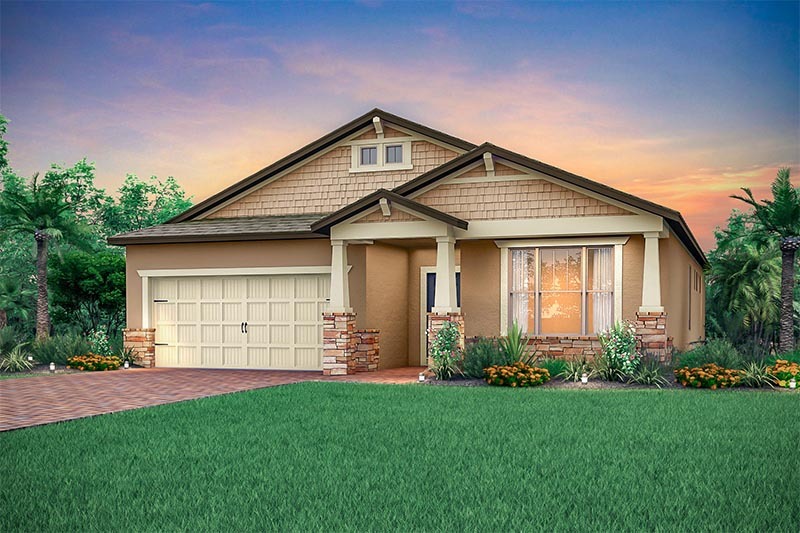 Master homebuilder Del Webb began construction of Del Webb Bexley in 2018 with plans to host 850 single-family homes in this 489-acre community upon completion. The Garden Series includes three floor plans that range from 1,372 to 1,574 square feet in size. They include two bedrooms, two bathrooms, and attached two-car garages. The Classic Series includes three floor plans that range in size from 1,659 to 1,968 square feet. They include two bedrooms, a den, two bathrooms, and attached two-car garages. Some homes include additional garage space for golf cart parking. 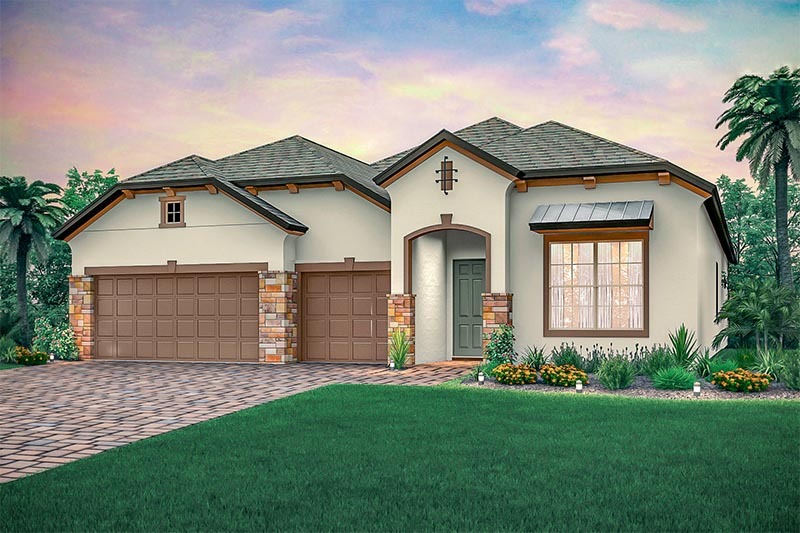 The Estate Series includes three floor plans ranging in size from 2,488 to 2,852 square feet. They include two to three bedrooms, dens, two-and-a-half or three bathrooms, and attached two-and-a-half or three-car garages. You’ll live an active lifestyle in this 55+ community thanks to the full-time activities director who will be on staff. Like any Del Webb community, there will be many resident clubs, classes, and activities for everyone to enjoy. A homeowners' association will help you relax, knowing that the common areas and exterior maintenance of the homes will be taken care of. Take a dip in the swimming pool, try a fitness class with friends, or cultivate a new hobby in one of the many multi-purpose rooms available in the clubhouse. 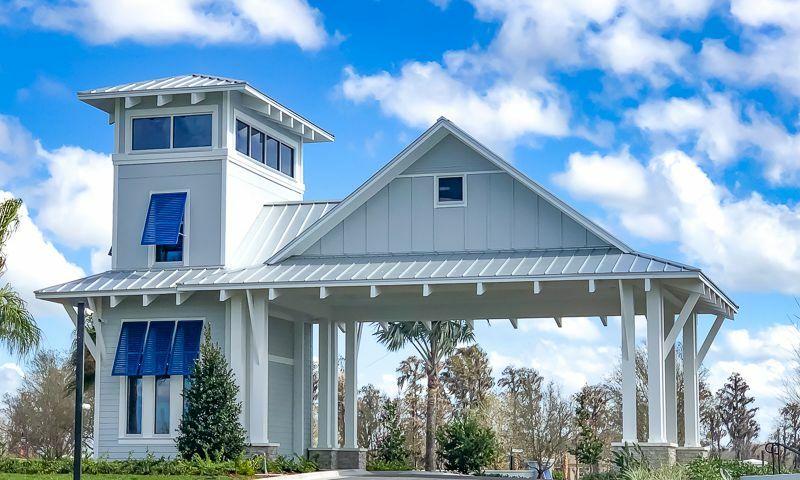 Ideally situated in Land O’Lakes, Florida, Del Webb Bexley will be surrounded by daily conveniences for all of its residents. Shopping, dining, and medical services are not far away, as the community is located right off the Veterans Expressway, making it easy to get anywhere from Tampa Bay to Spring Hill. When you must travel farther away, Tampa International Airport is located just under 30 minutes from the community. 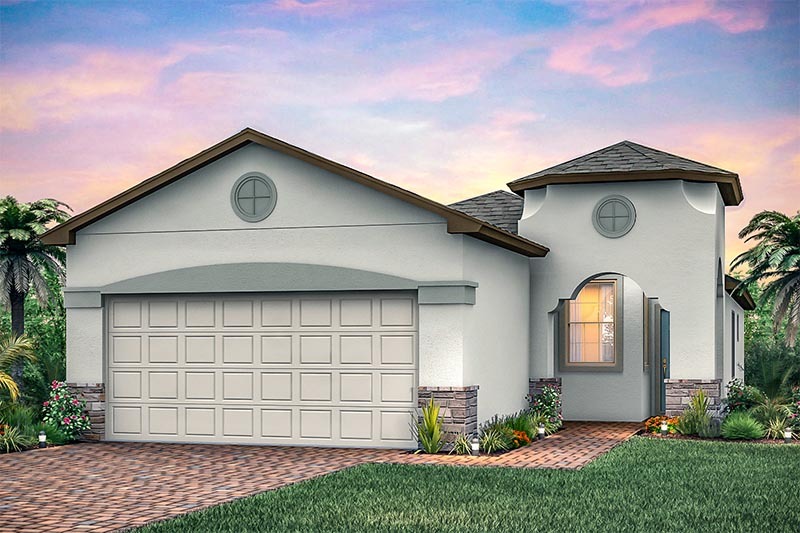 Homeowners will enjoy the convenience of living a half-an-hour drive away from a big city while living in the comfortable, relaxed atmosphere of this new Del Webb active adult community in Pasco County. There are plenty of activities available in Del Webb Bexley. Here is a sample of some of the clubs, activities and classes offered here. The Garden Series includes three floor plans that range from 1,372 to 1,574 square feet in size. They include two bedrooms, two bathrooms, and attached two-car garages. 55places.com is not affiliated with the developer(s) or homeowners association of Del Webb Bexley. The information you submit is distributed to a 55places.com Partner Agent, who is a licensed real estate agent. The information regarding Del Webb Bexley has not been verified or approved by the developer or homeowners association. Please verify all information prior to purchasing. 55places.com is not responsible for any errors regarding the information displayed on this website.